Michelle Chaplow delivering her keynote speech at the Historic Hotels Worldwide Conference. Photo shoot at Hotel Camiral Girona, Cataluyna. A beautiful setting for this five-star hotel, with views to the Pyrenees and surrounded by an award-winning stadium golf course, often voted the no1 course in Spain and with excellent viewing facilities. The interior design was carried out by Lázaro Rosa-Violán, one of Europe’s most fashionable design studios of the moment.Michelle and her crew worked alongside room stylist Allan Stuart, proprietor of Inventory Barcelona. The hotel’s natural colour palette of cool greens and blues reflects its stunning surroundings: the Mediterranean colours have brought nature into the hotel. Michelle found many exquisite details â€“ an intricately woven chair, hand-drawn botanical bathroom tiles, a bold batik print cushion, the brilliant turquoise mosaic tiling of the pool – an contemporary design hotel par excellence. Park Hotel Vitznau, Lake Lucerne, Switzerland. This is the third photoshoot that Hotel Essence Photography has carried out for this beautiful historic property. This photoshoot provided new imagery for their website. Following the current global trend in hotel photography this hotel website displays large bold imagery. As we all know a picture is worth a thousand words. The views of Lake Lucerne are stunning, so we shot luxurious guest rooms looking onto its glassy waters with the mountains behind, as well as stylish meeting rooms, the legendary infinity pool whose waters seem to slide into the lake beyond, the bar, and the Michelin-starred restaurant with its 180-degree panoramic view. Cortijo del Marques, Granda Spain. Think about the “real Spain” and this is what might come to mind: an off-the-beaten-track old farmhouse with traditional Andalucian architecture. Cortijo del Marques dates back to the 15th century, and even has its own chapel. Highly-respected El Pais hotel critic Fernando Gallardo stayed here and told the owners that their hotel was much better in real life than it appeared in the photos. 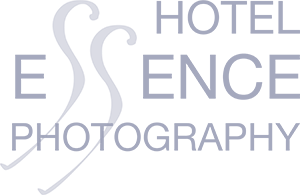 He recommended that the owners contact Hotel Essence Photography. The proof of the pudding is in the proprietors feedback, “Thanks very much again to your whole team for all the hard work that has gone into creating these important new images of our hotel. The pictures are great! We are really happy with them and are convinced they are going be a great help selling our hotel rooms” Eilko Bruggers. A photography assignment for Azerai Hotel, Luang Prabang, Laos. The photographs for this project were shot in December 2016, however the project remained highly confidential and wasn’t in the press until late January 2017 when Aman founder Adrian Zecha launched his new brand called Azerai. +The hotel is built around a central courtyard with a total of 53 guestrooms, each with its own private balcony or terrace. The Azerai brand is described as offering “affordable luxury”, with the signature understated elegance of Adrian Zecha. The hotel”s decor uses soothing shades and natural materials like wood, as well as hand-stitched batik textiles inspired by design and techniques of local tribes. It has been described as “understated but awe-inspiring.” The next Azerai projects are in Vietnam and possibly Cuba. View a portfolio of photos from Hotel Azerai, Luang Prabang, Laos. Wishing you all the best in 2017 ! After an extensive year of luxury hotel photo shoots, luxury hotel photographer Michelle Chaplow and her Hotel Essence crew would like to wish you all a wonderful journey in 2017. This year’s image was taken in Bagan, Myanmar from the top of a temple at 5am looking out to all those wonderful Balloons over Bagan. The Strand Cruise from Bagan to Mandalay, Myanmar. Luxury hotel photography can also include luxury cruising along Ayeyarwady River, with Strand Cruise. The boat is not only a platform to photograph their exquisite interiors, but also all of the wonderful views and excursions along the way. The Strand Hotel Yangon, Myanmar (formerly Burma). At the end of 2016 The Strand Yangon reopened after a major restoration project this one of the most emblematic hotels in Asia. It was established in 1901 by the Armenian hoteliers, the Sarkies Brothers, who also founded the Eastern & Oriental Hotel in Penang, Malaysia, in 1884, and the Raffles Hotel Singapore in 1887. A delight to photograph. This is indeed one of the world’s most iconic historic hotels. The restoration within the Authour’s lounge is just exquisite and the mirror that features in this image is over 100 years old. Strange as it sounds old hotels always need new imagery and in the future these photos will mark a time in history. The Rock Hotel in Gibraltar has recently undertaken a refurbishment, so Michelle took the opportunity to update stock images of the façade and details on a recent visit to Gibraltar. As a dedicated lover of historic hotels and afternoon tea, Michelle was thrilled to photograph the Gentleman’s Afternoon Tea served at the Grosvenor Hotel in Chester, a hotel with hospitality heritage stretching back over 150 years. A contemporary twist on a traditional experience. Athenee Palace in Bucharest, Romania. The historic Athenee Palace hotel in Bucharest has more than a century of history, diplomats, royals and celebrities have resided here. Just walking through the door you can feel the history. The Le Diplomate Ballroom is a national heritage monument with it’s huge stained class central atrium is indeed a photograph not to be missed. Casa Vesta Hotel Review and Photography. Casa Vesta is a unique boutique hotel, with one of the finest contemporary art collections in Spain. The infinity pool, the 360 unrestricted views and their sun drenched hotel rooms all made ideal hotel photography subjects. ‘Seeing through Photographs’ course at MoMA – Museum of Modern Art New York. Michelle commenced an online distance learning course ‘Seeing through photographs’ at the Museum of Modern Art in New York, curated and taught by Sarah Meister. Michelle was awarded a final grade of 91%. Hotel photography food for thought. 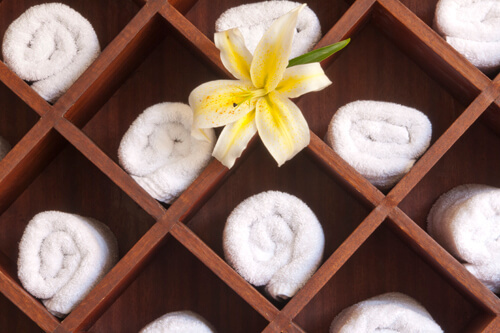 Hotels are all about experiences and memories that you will keep with you long after you check out. High tea at Raffles hotel in Singapore is on the bucket list of almost every traveller. Read on for tips on the perfect tea experience, in her case it was third time lucky. Wishing you all the best in 2016 ! After an extensive year of luxury hotel photo shoots, working on location in Europe, Africa and America during 2015, luxury hotel photographer Michelle Chaplow and her Hotel Essence crew would like to wish you all a wonderful 2016. Historic Hotel Photography: the Secret Walled Gardens of Dromoland Castle Hotel. Six Luxury Hotel Photography Details to Seduce Your Senses. Michelle was honoured to speak alongside Arianna Huffington the PHG annual conference in Pebble beach. Interview with Michelle Chaplow for Amberlair. Amberlair is a revolutionary new travel concept: the world’s first crowdsourced and crowdfunded boutique hotel group. Their team asked Michelle to share her thoughts on boutique hotels and you can read the interview here. #BohoLover: Meet Michelle Chaplow of Hotel Essence Photography. Fifty years of hotel history is considered a sufficient pedigree to gain access to prestigious institutions such as The Most Famous Hotels in The World ® and Historic Hotels Worldwide TM The Hotel Inglaterra (Hotel England) in Seville boasts much more than 50 years – in fact, three times that: more than a century and a half. Read more here. Hotel location, destination photography. Bring out your location, location, location. We all know that good hotel photography attracts reservations. Hundreds and thousands of hotels in destinations all over the world, are constantly enticing guests to reserve rooms using quality photography of their properties to attract and inspire – everything from top luxury chains to charming independent hotels, all are aiming for the â€œtake me thereâ€ shot. But somehow this same emphasis doesn’t seem to apply to the hotel’s destination photography; sometimes it is almost forgotten, yet it could be a key to bringing in additional revenue. Read more here. One classic iconic luxury hotel image is chilled champagne in an ice bucket. It’s inevitable that the champers will creep its way into almost every luxury hotel shot list. There is a lot more to shooting a bottle of chilled champagne in its ice bucket than meets the eye. But with a little planning and preparation, you can get a wonderful shot which will enhance the hotel’s image and tempt the viewer to come and enjoy a glass of fizz in those beautiful, elegant surroundings. Tips and thoughts on ice bucket photography can be read in Michelle’s blog post here. A five-star hotel mini-break in where else but… the North-East of England. We all know that a picture is worth a thousand words, so here you have it, in photos, our five-star hotel mini-break at Rockliffe Hall Hotel & Spa, Country Durham. Check out our latest photo blog here. Michelle Chaplow explains why old, historic hotels need new photos. As a hotel photographer, Michelle Chaplow has travelled on assignments all around the globe with her crew to photograph some of the world’s most beautiful hotels. She have been fortunate enough to photograph everything from brand new multi-million-dollar projects to heritage hotels, full of character, founded in a bygone age and yet still highly valued in today’s world.Michelle has a very special place in her heart for historic hotels. Read on here. GQ (formerly Gentlemen’s Quarterly) is an international monthly men’s magazine based in New York City, published by Condé Nast. The publication focuses on fashion, style, travel and culture. In a recent edition they published a feature on the 10 best Hotel Pools in the world. Park Hotel Vitznau illustrated their property with a stunning sunset shot of their pool by photographer Michelle Chaplow. The image depicted the pool in the foreground, Lake Lucerne in the middle ground and the Swiss alps in the background. A very tempting pool indeed. Madrid’s newest five-star hotel – The Principal Madrid. Photo Blog on Marid’s newest five star hotel and how first impressions count. La Prairie products at the Park Hotel Vitznau. Whilst on assignment for Park Hotel Vitznau, Michelle created images for the Swiss cosmetics company La Prairie, including two treatment rooms and the full display of their product range in the hotel spa’s reception. The images were approved by their head office in New York and are now available for press syndication. Return to Park Hotel Vitznau. This is a 125-year-old state-of-the-art luxury hotel, with its place confirmed in the great world of historic hotels. After the success of the PHV book, Michelle was recommissioned to capture the property in winter, surrounded by a snow-covered landscape. The hotel pool is one of the most photogenic in the world, and in the winter steam rises from the floodlit infinity pool, with an incredible view to the lake. Michelle and her crew captured details, landscapes interior and exteriors. History Book, Park Hotel Vitznau, Switzerland. Twelve months ago, a book was published on the history of Park Hotel Vitznau. Michelle Chaplow shot the contemporary images for this, to illustrate how the hotel looks today. This photo shoot was carried out in May when snow could still be seen on the Alps, and yet the temperature rose to around 26C, with excellent visibility – ideal for capturing the hotel in its best possible light during the glorious season of spring. Nature offers a very small window for perfect conditions and it’s up to the photography crew to capture those â€œtake me there scenesâ€. It was a delight to see not only the book, but many of the images are now available on postcards. Photo shoot for La Val Hotel Brigels, Switzerland. This is the third hotel assignment that Hotel Essence have carried out for La Val. A charming hotel spectacularly located in the Swiss mountains, La Val has two completely distinct seasons – the winter ski season and the summer hiking season, which require a totally different visual perspective in all their marketing collateral. Working with a hotel on a continuing basis is a sound basis for photography, as the photographer will gain a deeper understanding not only of the light, but also the marketing aims; in return this will result in higher quality imagery. La Val have recently introduced two brand new apartments and refurbished several hotel rooms. In terms of photography, capturing this on camera when everything is pristine, will result in the best possible photographic results. It is also a pleasure for a crew to â€œknowâ€ the hotel from previous photo assignments and feel privileged to return. Wishing you all the best in 2015 ! After an extensive year of luxury hotel photo shoots, working on location in Europe, Asia, Africa and America during 2014, hotel photographer Michelle Chaplow and her Hotel Essence crew would like to wish you all a wonderful 2015. Le Meridien Koh Samui, Thailand. Napa River Inn, California, USA. La Maison Blanche Tangiers, Morocco. Kempinski Bahia Hotel, Marbella, Spain. Hotel Photographer Michelle Chaplow and her crew carried out a photo shoot of the newly refurbished spa and gym at the Kempinski Bahia Hotel, Estepona, Marbella. The shoot included models working out in the gym, architectural shots of the Turkish bath, Sauna and relaxation areas, and Hotel Essence details. Stylist Maria Mena really brought out the best in the shots, from removing the very last crease to preparing bowls of cascading fruits. “The stylist plays a key role in setting the scene,” explains Michelle. It’s always interesting to return to a hotel some years after a previous shoot – a decade ago, Michelle was here to photograph the rooms and their unrestricted views to the ocean. At that time she was working on medium-format slide, back in the days of film. Hotels and technology have both evolved, and now with digital techniques, we have so many more possibilities, especially bringing out details in the shadows and expanding the high dynamic range. Lindsey Ueberroth, President and CEO of Preferred HotelGroup, was in the audience at the Historic Hotels of America conference in Hershey, and Michelle was honoured that Lindsay invited Michelle to speak at theÂ 2014 Preferred Hotel Group Global Conference in November. Michelle Chaplow delivered a keynote speech at the PHG Global Conference which took place in Pebble Beach, California, on 3-7 November. Other keynote speakersincluded Arianna Huffington of the Huffington Post and Terry Jones, founder and former CEO of Travelocity.com, Chairman of Kayak.com, and CIO of Sabre. Keynote title “Photography essentials for the digital marketplace”. – How to get more from your professional photographer. La Maison Blanche Luxury Riad, Tangier, Morocco. 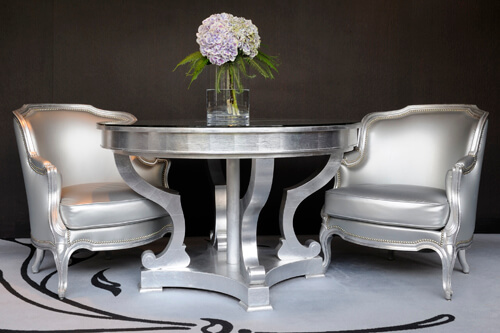 La Maison Blanche luxury boutique hotel commissioned hotel photographer Michelle Chaplow and her Hotel Essence photography crew to add to their collection of images originally shot for the launch. This recent shoot concentrated on hospitality shots, interiors, the solarium and rooftop views. A hotel to watch – within six months of opening, the heavyweight travel glossies are already knocking at their door! Precise Resort El Rompido, Huelva. A full crew travelled to the beautiful resort of El Rompido to photograph this five star property in its very best light. Shots included rooms with a view, gardens, the coolest pool, the à la carte restaurant and a selection of photographs that really capture the very essence of this beautiful resort. Michelle Chaplow photographed on behalf of The Most Famous Hotels in the World® Their world famous afternoon tea scene, flowers, foam baths and all kinds of other luxurious scenes. See more. La Maison Blanche Luxury Riad, Tangiers, Morocco. Hotel Finca Cortesin beach club, Andalucia, Spain. Four Seasons Hotel Los Angeles at Beverly Hills, USA. A long weekend stay and an editorial style photo shoot were the order of this long weekend. Michelle captured the blues of the pool, the vibrant flowers, Four Seasons is famous for its flowers and the exquisite Sunday Brunch. Read on here. A visit To Nobu. West Hollywood. Los Angeles, USA. After attending the opening of Nobu in Monte Carlo, Michelle was delighted to be invited by chef Nobu Matsuhisa to dine at his restaurant in Los Angeles. Michelle was delighted to have a place at the Chef’s table. “This is the heart of Hollywood, film and theatre land, and we had front-row seats. It’s the service that stands out in the States – and believe me, they rolled out the red carpet.” Read more here. Luxury Hotel Photographer Michelle Chaplow was honoured to be invited to the opening of the new Nobu restaurant at the Fairmont Hotel, Monte Carlo. The traditional Japanese sake ceremony which is said to bring good fortune to new ventures was attended by Royals, movie stars and F1 driver; a real star studded event. Nobuyuki “Nobu” Matsuhisa and Robert de Niro, together with the The Sovereign Prince Albert and Princess CharlÃ¨ne presided over the event. Read more about it here. 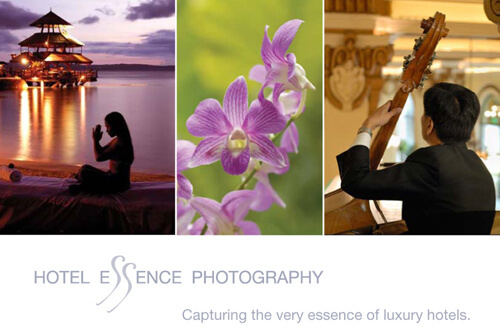 After an extensive year of luxury hotel photo shoots, working on location in Europe, Asia, Africa and America during 2013, hotel photographer Michelle Chaplow and her Hotel Essence crew would like to wish you all a wonderful 2014. Finca Cortesin, Casares, Andalucia, Spain. It’s always good to end the year with a Christmas shoot. Luxury Hotel Photographer Michelle Chaplow, stylist Holly Penny and assistant Joaquin Alarcon spend a day in late December photographically documenting the Christmas decorations and pastries from this luxury hotel. Their award-winning chef Lutz Bosing prepared the most delicious creations such as Christmas cup cakes, Christmas amenities for the rooms, and even real chocolate and gold leaf baubles! This was a shoot with understated elegance, luxury and style. A great end to the photographic year. Michelle Chaplow and her crew worked on location in Buenos Aires to photograph one of the most emblematic hotels in the world. Ask anyone who knows about luxury hotels, and they will cite the Alvear as a prime example, with its extravagant Louis XV/XVI-style decor. Situated in the smart Recoletas quarter, this hotel has history, finesse, charm, and first-class service. Your every need is taken care of, from the butler unpacking your bags and running your bath, to legendary gastronomic delights – Patagonian Oysters, beef in Malbec sauce, homemade dulce de leche, and the legendary afternoon tea. The shoot for the Alvear included the classical facade, the elegant lobby, the winter garden, the lobby bar, L’Orangerie restaurant, and the majestic Luxury and Presidential Suites, as well as various hospitality-related portraits: each member of staff takes immense pride in their work, and it really shows. Old-fashioned service in an exquisite property. Needless to say the crew felt very much at home and absolutely nothing was a problem for the marketing team, from props to permissions. This is a hotel of reference in every sense of the word. Michelle travelled overland from Andalucia, the very Southern tip of the country to Asturias in the very North, with her stylist and assistants to photograph the recently-opened Parador de Corias, Asturias. This was the only new Parador to open this year, inaugurated by Queen Sofia in July. It was also converted from a monastery, a monumental listed building known as the Asturian Escorial. In the basement you can see archaeological remains dating from the 11th century; this is a hotel with fascinating history and heritage. Michelle took a wide range of photos, including the suites by three interior designers, plus the standard rooms, which are sleek and modern, with classical touches. Other photographic subjects included the church with Baroque altar, the museum, the car park, the banqueting areas, the bar with its low-hanging lamps reminiscent of a mine, the elegant refectory dining area, the internal patios, food, exteriors including the facade, the spa and swimming pool, the library, the impressive internal patios and reception details. Within the interiors the designers have used colours from the land – earth tones, with references to the religious heritage of the building and the local mining industry. Everything in this Parador is new and pristine, from the contemporary wooden furniture to the artwork in the breakfast room – hand-painted designs on the walls. This Parador Hotel is set in a lush and green area of northern Spain, with wonderful view of tree-covered hills from the rooms. Michelle says: â€œIt was a privilege and an honour to photograph this newly renovated heritage hotelâ€. She is looking forward to more Parador photo shoots, next year. As newly-appointed official Parador photographer, Michelle did a one-day shoot of the Parador de Merida (official name: Parador Via de la Plata), including their evening terrace, environmental portraits of the gardener, exteriors and a suite. The rich Roman history of Merida is reflected within the hotel, which is a converted 15th-century Franciscan convent built over a Roman Forum and Temple of Concord. Michelle also shot the beautiful internal patio with its white marble columns. The Park Hotel Vitznau, Lake Lucerne, Switzerland. The Hotel Essence crew, together with stylists and assistants, flew to Zurich for a 10-day photo-shoot of this amazing property. The images were to be used in a new photo-led book, published by The Most Famous Hotels of the World. The Park Hotel Vitznau on Lake Lucerne in Switzerland first opened its doors in the spring of 1903, after a three-year building project. A century later, history repeated itself: in 2009 the hotel closed for three years during a multi-million-dollar renovation, reopening in 2013 as a lavish modern luxury hotel and spa, full name: Park Hotel Vitznau Health and Wealth Residence. The weather for this photo-shoot was near to perfection, with snow on the Alps, great visibility, sunshine, and temperatures in the high 20Cs. Very near to paradise in terms of photography and landscapes. The photo shoot included exteriors, interiors, food shots, environmental portraits, architecture, corporate portraits and photographic reproduction of various pieces of artwork that form part of the hotel’s history. The Coffee table book is now published and you can obtain a copy here. The Doorman and afternoon tea at Hotel Kamp, Helsinki, Finland. The stay here was only two nights, short but very sweet. Heads of state, dignitaries and flashy celebs have all slept in the Kamp’s bedrooms. Michelle Chaplow photographed the Hotel Kamp doorman and afternoon tea for The Most Famous Hotels in the World (R). From the genius composer Sibelius to the Spanish National Football team, who checked in on the day I checked out, they have all been here. A heritage hotel, with 125 years of history, which the Hotel Essence Photography team would love to return to. Luxury hotel photographer Michelle Chaplow photographed the Fairmont Zimbali, Durban, South Africa. An image shot by Hotel photographer Michelle Chaplow on behalf of Oberoi hotels is leading their Summer advertising Campaign “Summers are for Holidays”. Michelle explained “Rajasthan is known as ‘the land of kings’, the Oberoi Rajvillas in Jaipur, India certainly lives up to that name. I shot this image at sunset, from the fort entrance to add intrigue and believe me, it’s worth well stepping inside”, she smiled. Hotel photographer Michelle Chaplow on assignment in Beijing, China. Hotel Photographer Michelle Chaplow, on assignment in Beijing China. Michelle Chaplow recently carried out a Hotel Essence Photo shoot of the Fairmont Hotel Beijing. The striking colours, Alan Yang the chef de cuisine, behind the hotel’s famous Peking Duck, delicious cakes, the serene spa, tea pots and the traditional Chinese cheongsam fitted silk dresses were all captured on camera. The Fairmont Beijing has won awards for everything from Best Executive Lounge, to the best place in town to eat Beijing’s signature dish – the famous Peking duck, an honour indeed. Michelle Chaplow spoke at the TEDx event in Marbella in March 2013, alongside such top names as Michelin-starred chef and international restaurateur Dani Garcia. Her chosen theme was The Importance of Photography for Luxury Hotels and Destinations. To illustrate (literally) the keynote speech Michelle choose Andalucia, Spain as her featured destination, explaining that on the world-class tourism stage, this region – which is full of stunning natural attractions and historic monuments – needs to send out strong visual messages. Michelle explained how good visuals make a huge difference in terms of creating an image for hotels and destinations, especially in today’s mobile multi-media world. She was delighted to talk about the photography subjects for which she has great passion: hotels and travel. Michelle’s talk was well received, with excellent feedback from many quarters. Hotel photographer Michelle Chaplow on assignment in London, England. The Wellesley Hotel commissioned Michelle and her crew to provide the inaugural images for London’s latest five-star hotel, a member of the Preferred Hotel Group with an exclusive Knightsbridge address. With only 36 suites, sleek Art Deco styling, and a prime location in one of the world’s greatest cities, London, a stay at the Wellesley offers a taste of unrivalled high-end glamour – a perfect combination of period decor and contemporary comfort, in an intimate townhouse hotel. Images destinations:- Clockwise Champagne on the Lawns of The Peninsula Hotel, Bangkok. Frangipanis floating, Le Meridien Hotel, Koh Samui, Thailand. Namaste from Oberoi Gurgaon, New Delhi, India, Lotus flowers at the Mandarin Oriental Spa, Bangkok. Sunset at Rajvilas, Jaipur, Rajasthan India and finally a Fine Art Silhouette – Shot on location at the Dolder Grand Hotel , Switzerland.-Leaping Hare on Curly Bell. See image. Michelle Chaplow, Keynote Speaker at “Far From Ordinary”, the Preferred Hotels Group Annual Conference in New Delhi, India October 2012. “This was a successful conference for us and your talk was well received,” said Jonathan Newbury, Vice President, Strategic Development & Regional Director, Preferred Hotel Group. Official photographer for the Spanish Paradors. Nominated in seven categories in the 2012 Black & White Spider Awards. New lobby at the Mandarin Oriental, Bangkok. A new addition from South America. Hotel Essence photography has added three new hotels to its collection from the Americas – two from North America, along with one from the south of the continent. 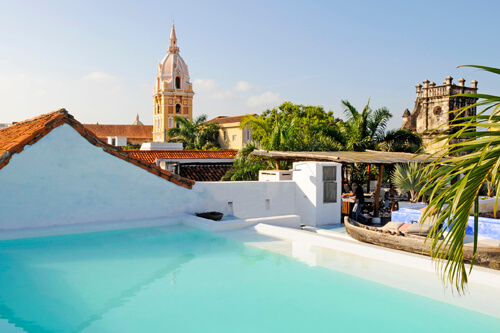 Hotel La Passion is situated in the very heart of the romantic city of Cartagena de las Indias, Colombia – with its pastel shades and crumbling walls, the whole place has an air of stylish shabby chic. Hotel La Passion is tropical, fruity and, most of all, created with passion. 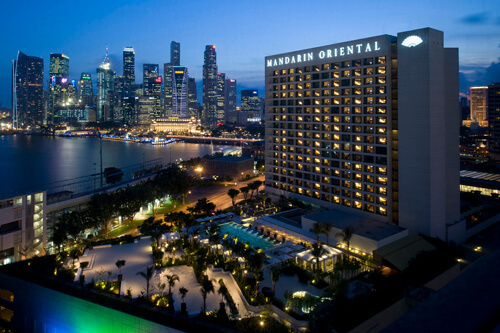 Michelle carried out an assignment for the Mandarin Oriental hotel in Singapore photographing by day, dawn and dusk their salubrious new pool area. Brussels, Belgium. Sofitel – Le Louise.